Fads are real. Digital can move fast enough so that we can be a part of fast moving popular culture. And we can create popular culture. Two examples I love right now are Assisted Serendipity using Foursquare data to be notified when the odds are in your favor gender-wise at your favorite venue and Ben Fold’s Ode to Merton that remixed Chatroulette and Merton’s improv singing on the platform doing it better (truly worth the watch if you haven’t seen it). Every Axe, beer, and gum brand manager who spent even a moment putting “getting the girl” in their brand key should be kicking themselves for not producing Assisted Serendipity first. We have to be not only brave to jump on these fads, but also realize that digital is usually the best way to play with fast culture. Taking a year to test an idea is blindly ignorant of reality. And this transitions to a life lesson I try to keep in mind: we need to be really smart about how much of our time we give to clients who are not ready to push past TV and print alone. Try to be a catalyst of change and be optimistic for up to a year. But don’t be a martyr and let the world pass you by in the process. 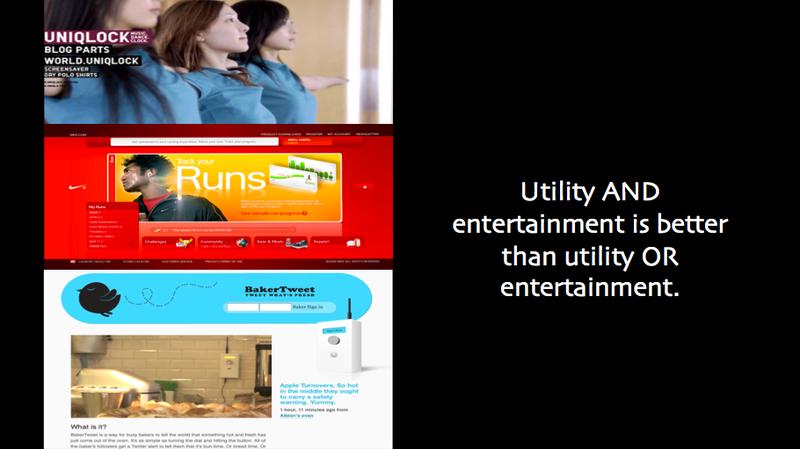 Utility and entertainment is better than utility or entertainment. Utility is on everyone’s checklist: what can we do to help, enhance, or inform people? There’s a lot of rhetoric about solving problems, so we’re all clamoring to come up with utilities, but we need to remember to let people enjoy the solution. Those top shelf examples – Uniqlock, Nike +, Bakerstweet – all have an element of delight within an elegant solution. 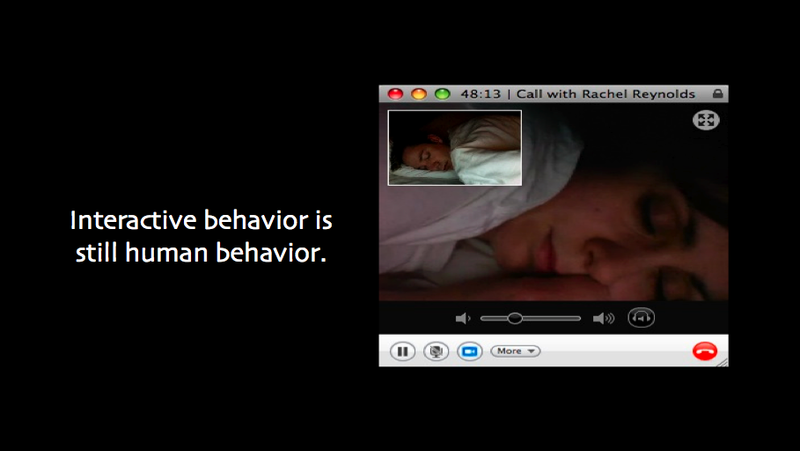 Interactive behavior is still behavior. Within the digital landscape, human behavior is expansive. We have to add our understanding of real world activity and overlay searching, online shopping, playing, flirting. Online behavior doesn’t stand still. 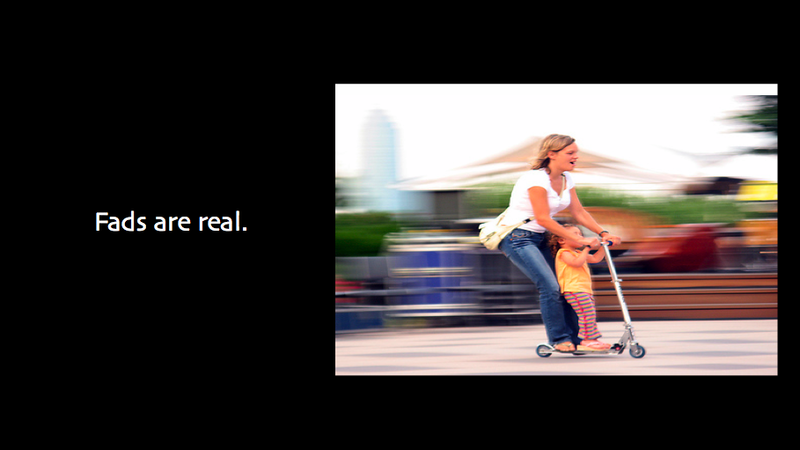 In fact it morphs at a rapid pace. We need to re-evaluate what people are doing all the time and come up with new ways to dig into online behavior. This is the fun stuff. Part of this overlaps with the listening topic previously discussed, but this also gets deeper into true behavior. We can see exactly what people are doing, not just what they say they do. 100% agree. lets build useful brand experiences.